Brownie's YachtDiver was at the 2018 Fort Lauderdale Boat Show October 31 - November 4, 2018. Just as past years we were in Booth 2 at the Bahia Mar Tent and Booth 672 in the Superyacht Pavilion. 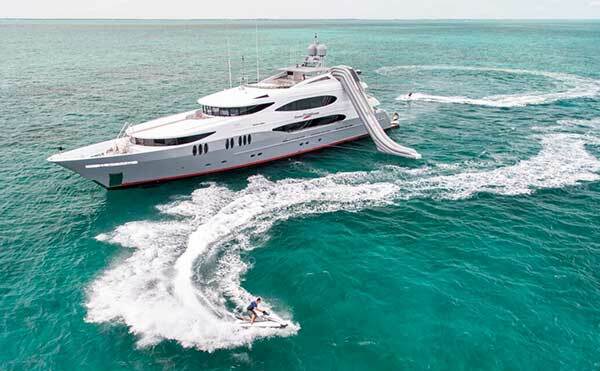 Brownie's YachtDiver had U-boat Worx submarines, Freestyle Cruisers water slides, Seabob Scooters, Deep Trekker ROV's and all your favorite dive gear. 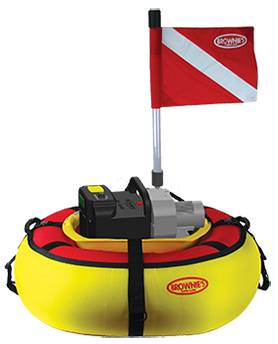 New for 2018, Brownie's Third Lung Sea Lion with Up to 3 Hours Battery Supplied Diving and NautiBouy Floating Yacht Platforms, see more below. Brownie's YachtDiver is very enthusiastic about a new product and the latest development for Brownie's Third Lung- Sea Lion. Finally, a battery operated Third Lung which runs for up to three hours before charging or a swap-out is needed! Read and see more on the Sea Lion page. 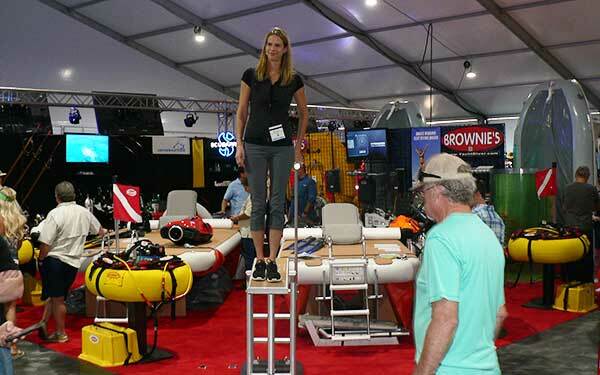 Brownie's YachtDiver is introducing the NautiBouy Floats at the 2018 Fort Lauderdale Boat Show for the first time in North America. 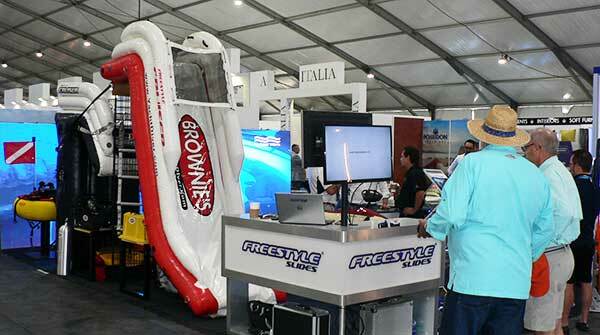 Come see these high quality inflatable floats at the Boat Show for yourself. Staff will be on hand to answer all your questions. More on the NautiBouy Floats page. Brownie's YachtDiver will have a 3-man U-boat Worx sub on display at the Show in the Superyacht Pavillion. Stop by and check it out.